JB Systems has won 40 Graphic Design USA awards since 2011, and we're ready to design an award-winning solution for your brand! JB Systems - A Wisconsin website design company, continues to bring home design awards for outstanding web design and graphic design work. As a leading custom website design company - we know the future of web design is mobile, and your website should be ready. All JB Systems websites are built to provide the best user experience on mobile phones and tablets. JB Systems offers PCI Compliant hosting, a robust data backup strategy, and 24/7 support to ensure secure transactions and stability on your website. Is your website not performing the way you'd like? We'll review it for free and give you some tips to help with usability and search engine optimization. At JB Systems, we're never done! Our maintenance, SEO, social media, and marketing programs help you make the most of your website to grow your business. We Are an Innovative Web Development & Online Marketing Agency. Welcome to your team of "yes"! You Deserve a Partner That Says "Yes, We Can." JB Systems is a leading custom website design company in Eau Claire, specializing in web development, graphic design and online marketing. We are fanatics about the web, from custom website design and graphic design to e-commerce and database logistics solutions. We give you a different kind of web experience, because, frankly, you and your website deserve better. Time and again, we hear stories about businesses being told by others that “it can't be done” or “no, your website doesn't work that way” or "our platform doesn't support this" by their web developers. We hear stories about inflexible designers or developers who over promise and fall short of expectations. Isn't it time for a web partner that said “yes”? A partner who listened? 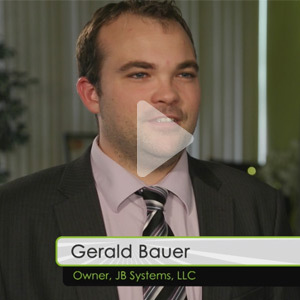 We're proud to introduce the Possibility of Yes, brought to you exclusively by JB Systems. We make the web simple. Building a website takes work. It's not something that happens overnight. But it IS something that is well worth the investment of your time. From the very first time we meet to the last keystroke, we make the web process simple. During the development of your website, web app, or graphic design piece, we'll get to know your business and your goals. Because your online marketing efforts MUST support your business goals, our experienced staff will guide you through each step of the web design process. We ask you tough questions, and help you find a focus, a message, and a look that will truly resonate with your target audience. We're awesome at what we do. As leaders in the field of website design, the team at JB Systems makes it a habit to take on new challenges and learn new, better, or more efficient methods of our craft. Our highly specialized team of web designers and programmers create a custom website exclusively for you. A website beyond a monitor-sized brochure. A website that supports your sales team, sells your products, generates new business leads, gets people in your door, educates your target audience, or provides service to your existing customers. Your website is not another task to complete or machine to maintain. 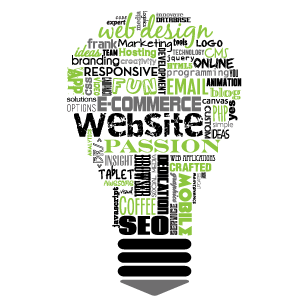 Your website is a living, breathing part of your business, and we'll help you make it amazing. As a leading Wisconsin Website Design Company - we can provide the expertise and know-how to build a website exclusively for you. No templates, no confusing systems – just straight-up development and a company policy to do what's in the best interest for our clients. Building a strong, consistent brand is half the battle. Let our experienced, savvy graphic designers create a corporate identity and branding platform to propel your business, both online and offline. Tired of hearing your web developer say "No, we can't do that"? Our highly skilled development team tackles some of the web's biggest challenges. Welcome to JB Systems. Welcome to your team of "yes." WTA Exclusively Endorses JB Systems for Website Service […] The post Sometimes Our Clients Say It Best – Exclusive Endorsement of JB Systems appeared first on . When it comes to web design in Wisconsin, our goal at # […] The post Innovative Website Design For Your Custom Products appeared first on .